ID card printers produce quality ID cards for a variety of applications which include photo ID's, membership cards, loyalty cards, financial cards, ID badges and many more. 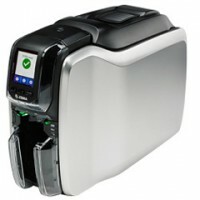 ID card printers range from basic entry level printers to high-end features and capabilities. Absolute Access ID stocks the largest selection and inventory of the industry’s leading ID card printers and printer supplies. Our team is dedicated to finding an ID card printer to meet your specific needs. If the model or manufacturer you are looking for is not shown, please contact us at (855) 771-9697. Absolute Access ID is an authorized reseller of Magicard, Datacard, Fargo, Evolis, Zebra and Nisca. Some people find it difficult to print ID cards, while others have come to realize just how simple it can be. 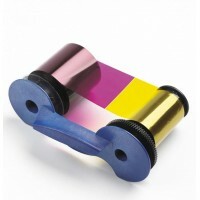 The key to success is to purchase a high quality ID card printer. With this at your disposal, you never have to concern yourself with making a mistake, or worse yet, not having access to the equipment you need to print a high quality card. 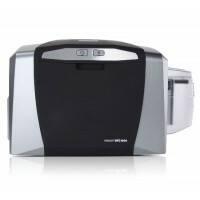 As you begin your search for an ID card printer you’ll come to find that there are hundreds of options. On the plus side, a large variety puts you in position to find exactly what you’re looking for. Conversely, a large selection can make it a challenge to narrow your options and focus in on the model that best suits your requirements. 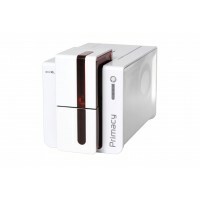 Secure Class ID Printers: if security is more important to you than anything else, a secure class printer is what you need. Thanks to a unique print technology, you’re able to generate tamper-resistant cards. While expensive, you get what you pay for in regards to security. 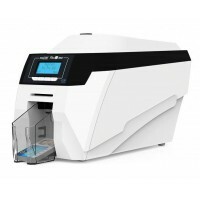 Value Class ID Printers: as the most basic card printer, these models are priced to sell and don’t offer the most in regards to features and quality. Even so, they are the perfect fit for organizations that have basic needs. Professional Class ID Printers: this is a large group of printers that can be used for a variety of applications. It doesn’t matter if you’re interested in bulk printing or a high level of security, one of these printers is sure to suit your needs. With so many available choices, it can be a challenge to make a final decision as to which ID card printer is best. As you learn more about your options, settle on a feature list, and set a budget, you’ll find yourself in better position to make a purchase. At that point, you’re in the right place as we have one of the largest selections of ID card printers.